On a Saturday at noon last October, Carlos Walker received a burial worthy of rap royalty. For three hours, hundreds of mourners packed Jackson Memorial Baptist Church in far west Atlanta to bid farewell to Walker, who rose from public housing to rap stardom as Shawty Lo. A marching band drummed past his closed casket, which was carried by high-stepping pallbearers to a glass-sided carriage that was harnessed to two black Percheron horses. The night before, Walker lay in an open casket, resplendent in sunglasses, a black suit, and a gold chain bearing “D4L”—the rap group he founded—arranged neatly around his neck. Afterward the hearse carrying his body stopped outside Club Crucial, where Shawty Lo once performed, and again halted for a brief candlelit service outside the Blue Flame Lounge, the last place the rapper was seen alive before dying in a car accident on I-285 10 days earlier. Keeping watch over the two-day homecoming celebration, as he often does, was Willie Watkins. 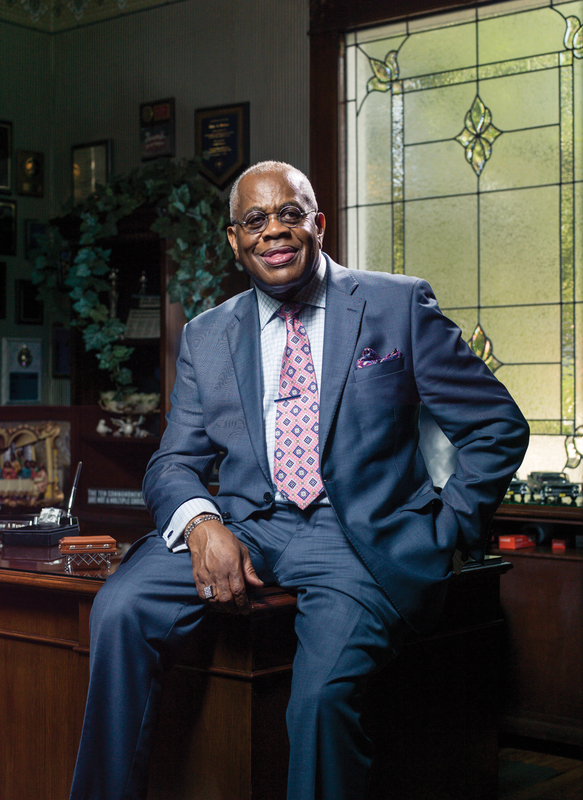 Dignitaries, war veterans, people who lost their way, and babies who never had a chance to find their own—it’s all in a day’s work for Watkins, the 67-year-old mortuary mogul who’s become the go-to undertaker for Atlanta’s black elite, rappers and entertainers, and thousands of other Atlantans. Nearly 40 years since Watkins turned a former Confederate general’s Victorian house in the West End into a funeral home, the Cascade resident has built a multimillion dollar empire—staffed by more than 85 people working at five locations—that lays to rest roughly 1,500 people each year. Watkins organized the funerals of Coretta Scott King, Lillian Miles Lewis (Congressman John Lewis’s wife of 50 years), and family members of Usher and Real Housewives of Atlanta star Phaedra Parks, who was Watkins’s former apprentice, earning him an appearance on the reality TV show. Watkins’s fleet includes a vintage hearse with side-opening doors. Out back is the fleet of custom-designed limousines, hearses outfitted with speakers, and glistening towncars. Lincolns, Cadillacs—both new and vintage, punctuated by shark-fin lights and red felt window curtains—in black, white, and gray colorways all bear a silver “Willie A. Watkins” insignia, like the suit of the man himself. The 13 horses that pull the carriages, one of which dates from the 1700s and carried Coretta Scott King’s body to lie in state at the Georgia Capitol, are kept at family-owned stables in Douglasville. Fifteen years ago Watkins clasped his hands together and asked God to lead him where no other funeral service director had gone before. Wanting to stand out from the competition, Watkins’s mind drifted to images of Victorian-era pall bearers in top hats and fine-dining servers in London wearing white gloves. He incorporated those features into the Watkins “signature package,” starting around $6,500. Nearly 40 years ago, Watkins bought the former home of a Confederate general to launch his mortuary. Watkins prides himself on his services, including embalming, an art he started practicing as a young teenager. “Some people say [their loved ones] look better dead than they did alive,” he says. Watkins calls each grieving family and gives them a plaque at the funeral honoring the deceased. Before bodies are displayed, he ensures the deceased’s head is tilted at an angle, facing their loved ones. 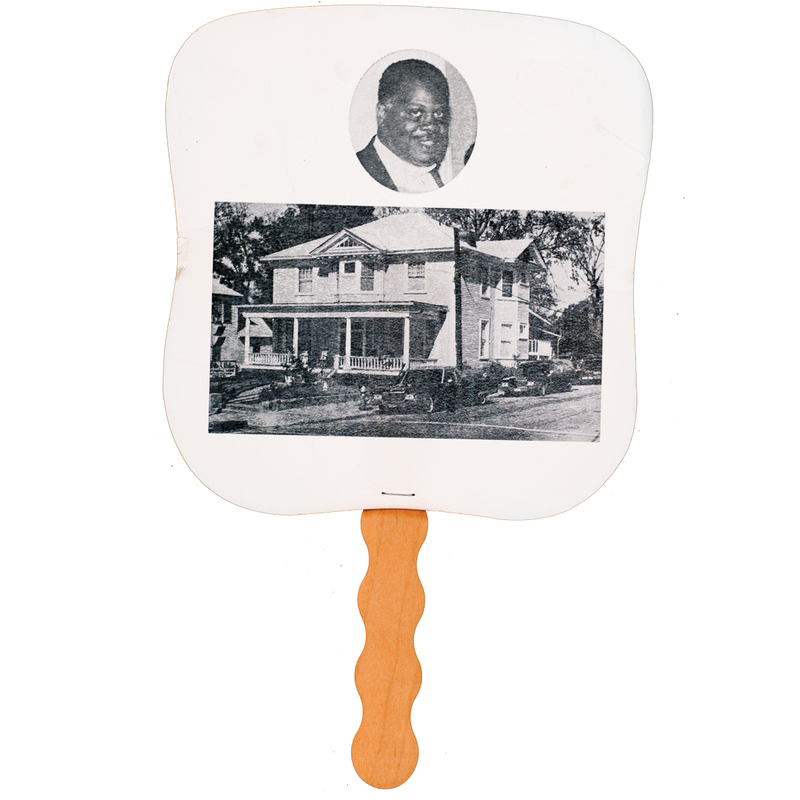 As a child growing up in then rural Scottdale, Georgia, Watkins tagged along to funerals with his grandmother, Mother Guinn. After the family moved to Atlanta, he would take the bus alone to lay flowers for the Cox Brothers Funeral Home, where the staff allowed him to help. For Watkins, the fanfare and ritual of funerals was entrancing: men and women dressed well, fancy cars moving in a solemn caravan, extravagant floral arrangements—he adored it all. When his grandmother pointed out how good one of her deceased friends looked in the casket, Watkins’s mind was made up. At 14, he moved into Herschel Thornton Mortuary, a funeral home in Adamsville famous for its drive-thru viewing window, and was directing services at 16. While studying at Morehouse College, he took night classes at the Gupton Jones Mortuary College, then located on Peachtree Street. 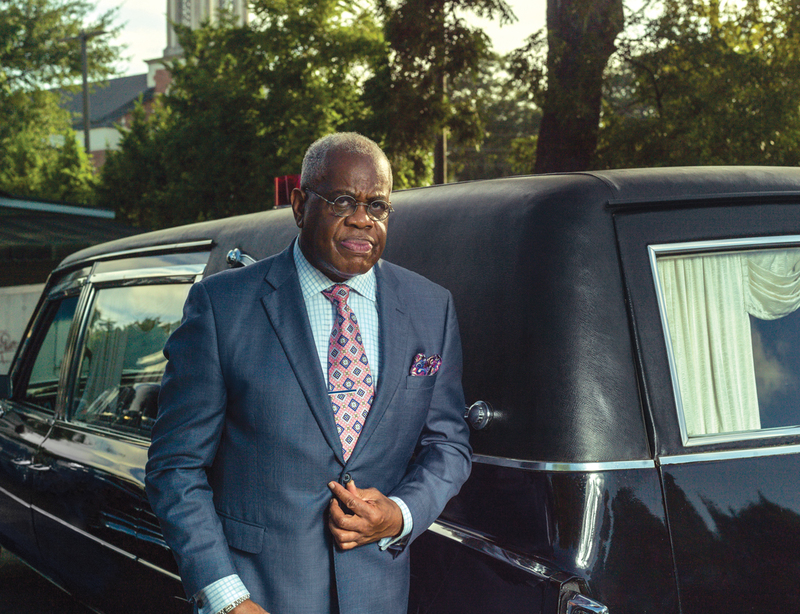 In 1978, using money earned from the sale of a commercial property, 29-year-old Watkins purchased the antebellum mansion on Ralph David Abernathy Boulevard and launched a limousine service to build capital to launch the funeral home in 1982. Watkins has already planned his own farewell tour: five wardrobe changes and stops at each of his business locations. Ideally, his final vessel will be a silver casket lined with black velvet. Walter Hawkins and the Love Center Choir’s “Never Alone” will play. He’s toyed with the idea of what will be inscribed on his tombstone, but one phrase in particular stands out. What really happened to the man found hanging in Piedmont Park?